Shallow Glass Fuel Filter Bowl. Leveraging the skills of our qualified team of professionals, we are engaged in providing Filter Bowl. We are the leading Manufacture supplier of Tisco Pre Filter Glass Bowl and offer this product as per client requirments and this product made by our expert with Good quality. Banking on the skills of our qualified team of professionals, we are indulged in presenting best quality array of Filter Bowl. 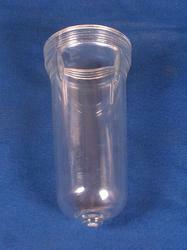 This Filter Bowl is checked for quality under different set norms of the industry. Furthermore, our product range is known for its easy installation and corrosion resistant finish.